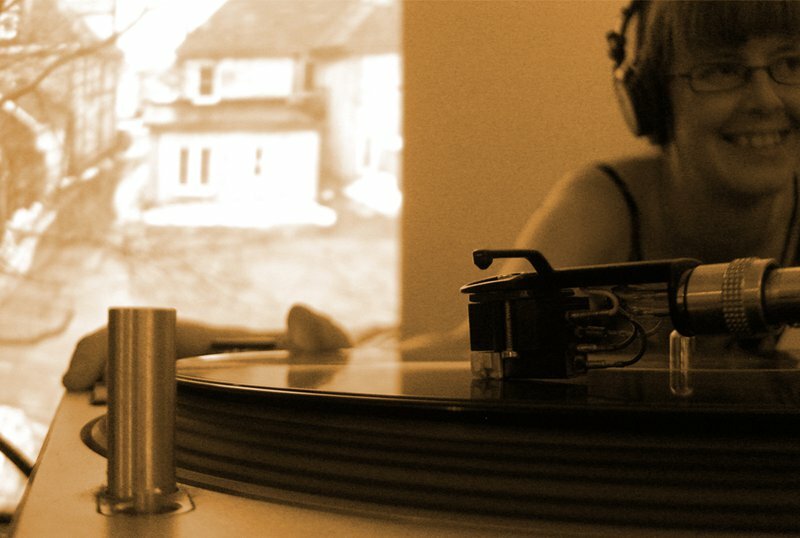 DJ Mediafrenzy has been spinning records around London for the last decade at home, work, bars, parties, festivals, fundraisers, conferences, workshops, poetry slams, art shows and on the radio. She can do full sets of funk/soul, hip hop, electronic, indie, rock n roll 60's - 90's, jazz or local, but her speciality mixes it all up while maintaining a groove that flows smoothly. Music flows through her veins. When she's not spinning tunes, she is keeping the beat on the drums with Westminster Park, wailing away on harmonica, trilling the flute or singing a tune. Her musical loves range from Chromatics to Gorillaz, Tortoise to Sharon Jones & The Dap Kings, Joni Mitchell to Massive Attack and a heck of a lot in between. She’s been flipping records for as long as she can remember, has always loved collecting and sharing music, was often in charge of the stereo during high school gym class and was the one making mix tapes to play at parties, since the 90s. It was only a matter of time before she got a moniker and a sweet set of turntables to really crank out the tunes. In 2018, DJ Mediafrenzy was nominated for the Club DJ Award at the Jack Richardson London Music Awards.